There're no kits like Showkits! 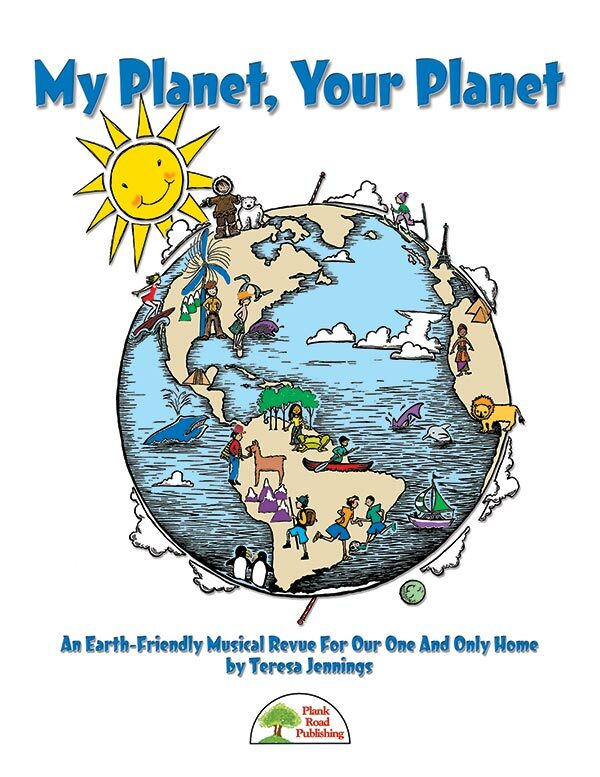 Over the years, we have continued to offer many, many pieces of music that celebrate and honor our one and only planet earth. Music has the power to do something almost nothing else can. It can bring awareness, hope, and action. Let the power of music be the voice of your students with this important musical revue. Read more now or pre-order now! Page Turner Videos: Read along in the score while you listen. An exciting new format that gives you the best of both worlds! This unique format gives you the convenience of downloadable products, but with the feel and usability of real books and CDs as well. These new kits are just a bit more expensive than regular kits, but they give you the convenience of being able to print parts from your computer instead of standing at the photocopier for eons. Buy online or with a purchase order - As with our downloadable kits, you can buy them at our web site and immediately download the files. We will ship the book and CD soon thereafter. Or you can order by phone, fax, or mail and we will ship you the product and send a link to your e-mail address for the downloadable components. Order downloadable products as you would any other product. There is no need to order downloadables separately: Your order can contain downloadable products, regular products, and subscriptions in any combination. If ordering by mail, please include a check or purchase order with the order. You can also order by phone or fax and pay with your credit card. Be sure to include your e-mail address. Please double-check that it is correct. As soon as your order is processed, an e-mail will be sent automatically to the e-mail address you included. The e-mail message will include a link to a web page. Go to the web page and download your products. You will find directions and help on that page. Your page will remain available for one week, so you can go back and try again if you have any problems. Ordering on MusicK8.com is still the fastest way to get your downloadable products, but now it's not the only way. We're happy to give all our customers the opportunity to access downloadable products.